Kashmir is the land of wonders, from its beautiful valleys to the large and historical Mughal gardens, each and everything present in Kashmir is just fascinating deep to the heart. Just like it’s other wonders, Kani’ghitch is a mushroom which is mystical and magical enough to attach your mind to the mystery of it’s hidden beauty. Where Can One Find These Magical Kani’ghitch Mushrooms? To taste the wonderful aroma of these occult mushrooms, one needs to reach the top of Kashmir mountains first. These mushrooms can be only found in the high altitudes of these mountains after the rains in the winter season. The tales and legends of this mystical mushroom have only taught the residents that this wonderful fruits can be only found by children or dark-skinned pure-hearted persons. The reason behind why only a pure-hearted person can find these mushrooms is still hidden but it looks like that the creator of this world never wanted to see them in the hand of an evil person. So now what can be the benefits of such magical fruit? It can really perform wonders. The need of Kani’ghitch mushrooms is not only found to be in trade and merchandise but is also very common for pharmaceutical purposes. These mushrooms are found have the wonders to cure even the harshest tumors and the property to regulate our immune systems. Therefore, eating the Kani’ghitch actually means that you are eating gold. But a life values more than money, therefore, the consumption of this fruit in case of any health issue is always suggested. Kani’ghitchs is believed to be a mythological fruit by many residents of Kashmir and is also world famous by the name of Gucci. 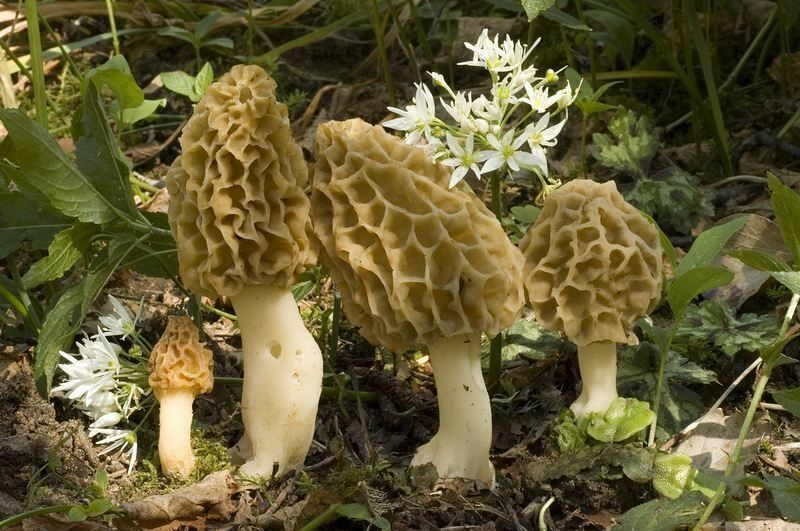 The other name provided to these mushrooms is Morchella Esculenta which is for Botanical purposes.